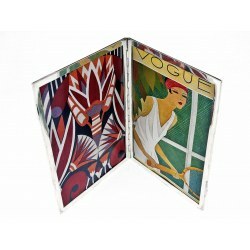 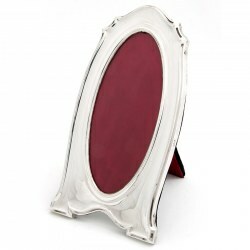 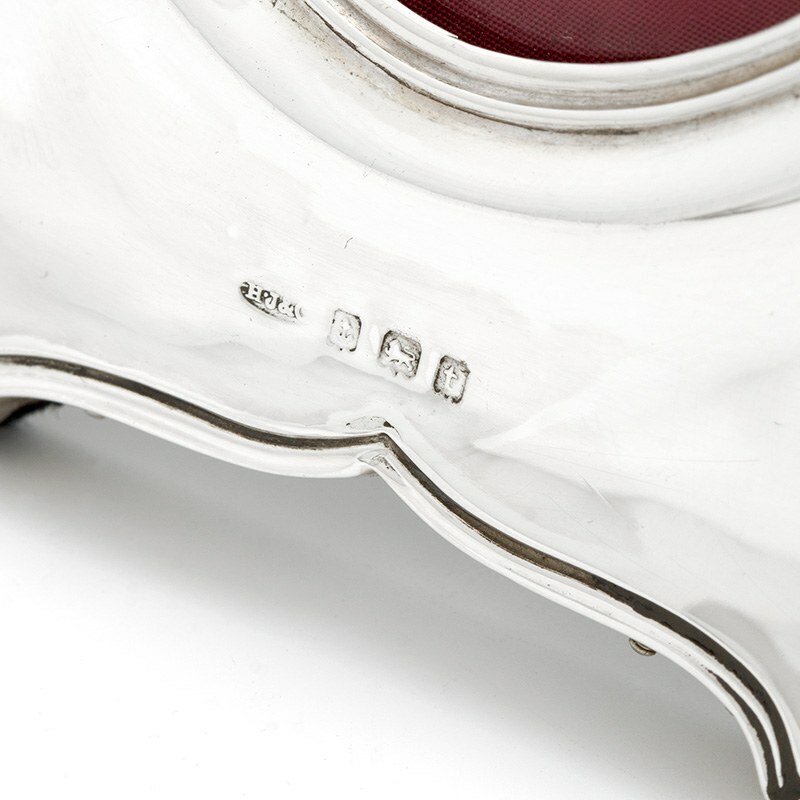 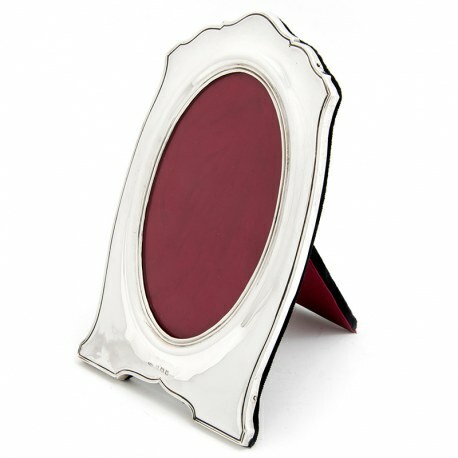 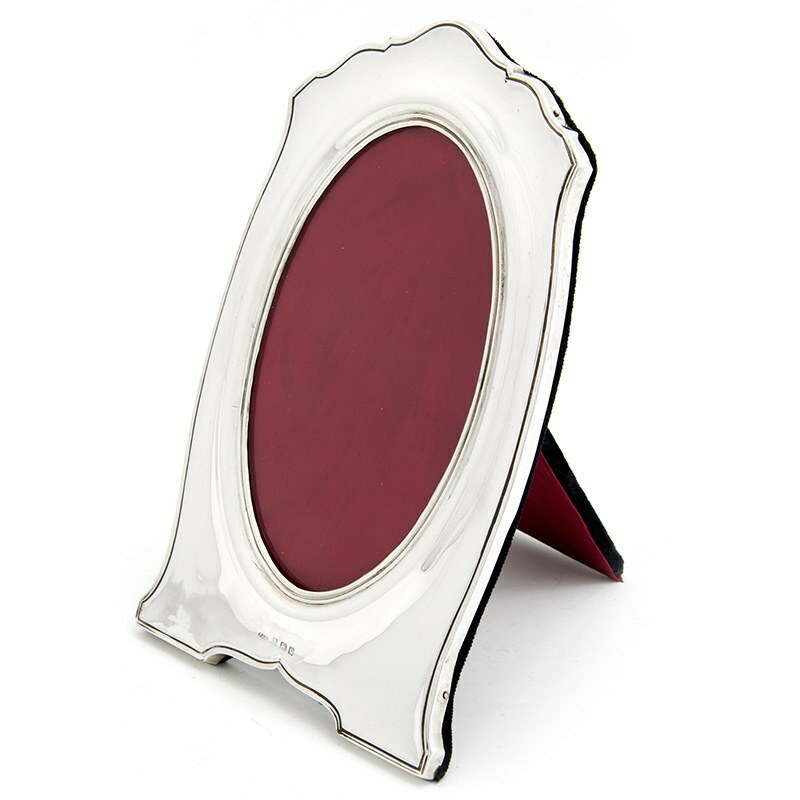 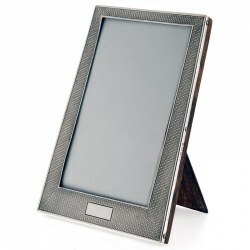 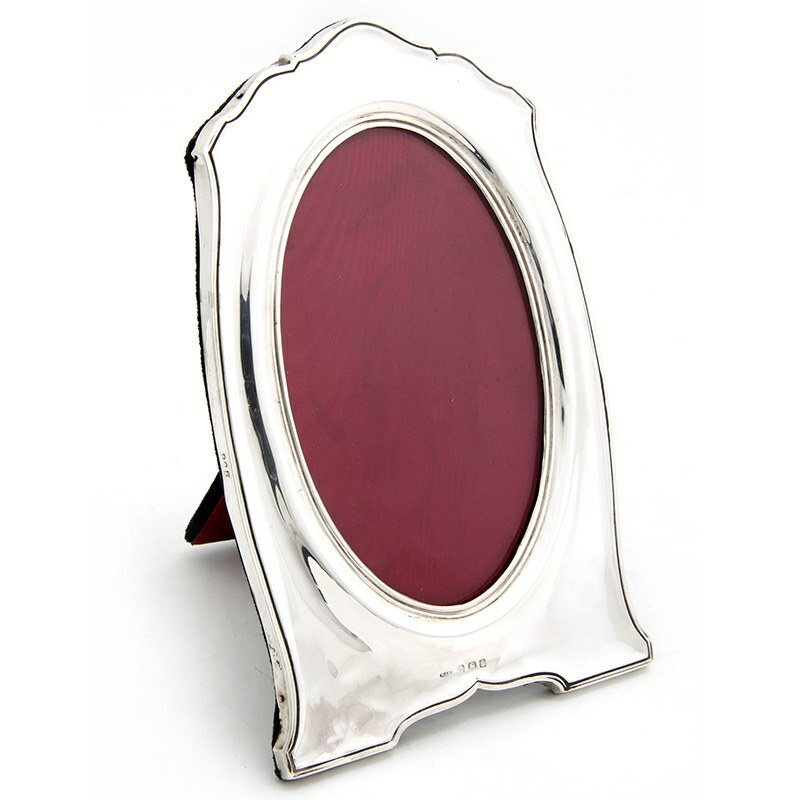 An attractive silver photo or picture frame with a shaped rectangular mount and an oval window. 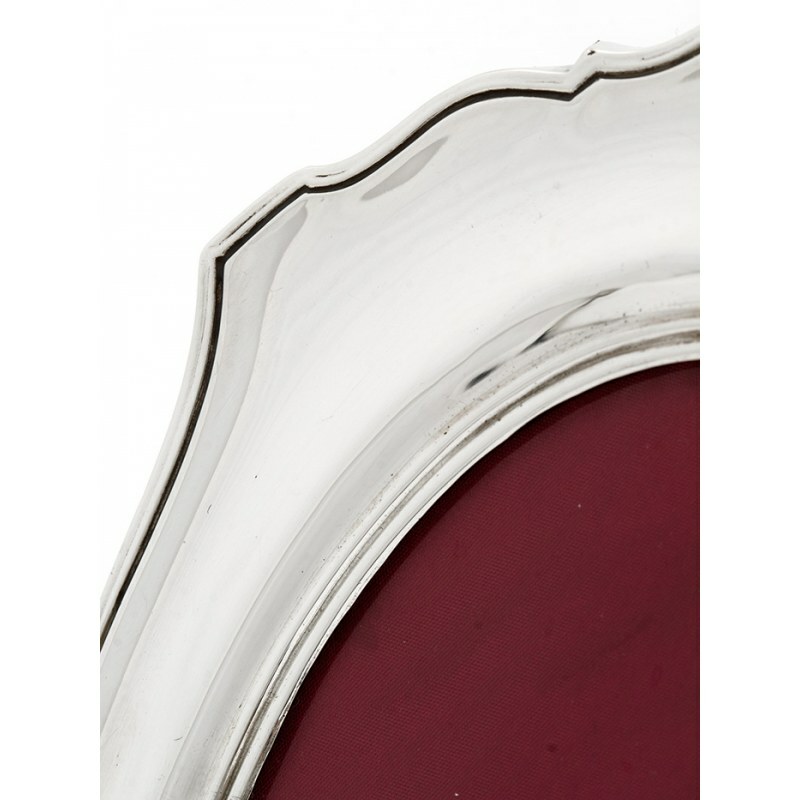 The shaped reeded frame stands on two bracket feet. 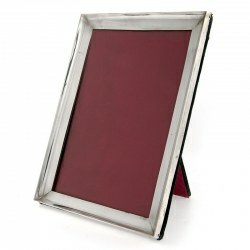 The easel back has been recovered and the frame is in very good original condition.